ANASAZI Foundation is a non-profit intervention resource dedicated to restoring and strengthening parent-child relationships through wilderness programs. I was hired as Marketing Coordinator to develop a fresh, new visual brand to commemorate ANASAZI’s 20th anniversary. This included a new logo, web site, print collateral, and online/print marketing. This also included preparing for a 3-day gala for which I personally created themes and designed all print materials and visual media, among other creative duties. This post is pretty extensive and yet does not show everything I created for ANASAZI Foundation. I have been singing since far before I can remember and have been fortunate to share the stage with great performers such as Wynonna Judd and Marie Osmond among others. I also apply my branding and identity services through artist development empowering other people pursue their passion for singing, too. On ILoveToSing.com, I blog about the people I meet–singers and those in supporting roles in the industry–as well as promote contests, talk about what’s trending, and provide resources and products for personal or professional use. I am fortunate to have a great website name and have loved applying my graphic design skills to create a visually appealing brand for ILoveToSing.com. Check out some of the design work I’ve done to create and maintain a consistently strong visual brand. 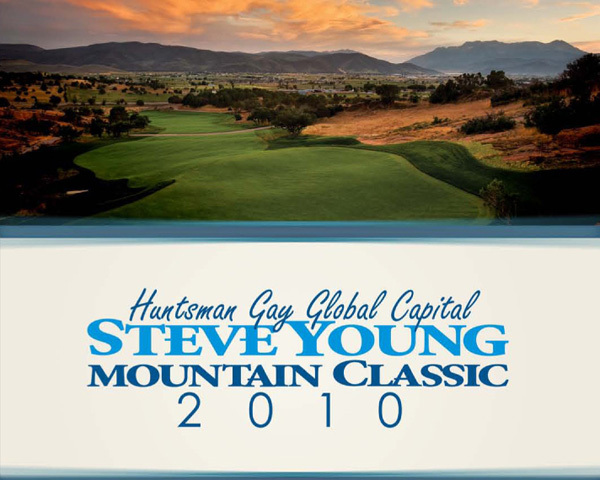 Each October, NFL Hall of Famer Steve Young joins with friends from the NFL, NBA, PGA and Major League Baseball to host the Steve Young Mountain Classic near Park City, Utah. The funds raised by this event benefit Forever Young Foundation. In 1993, Steve established the Forever Young Foundation to support community projects and non-profit organizations effectively serving the therapeutic and academic needs of seriously ill and underprivileged children. For several years I worked as a creative on this event as well as the Desert Classic, Mountain Classic and events serving other Forever Young Foundation charities. Each June, NFL Hall of Famer Steve Young joins with friends from the NFL, NBA, PGA and Major League Baseball to host the Steve Young Mountain Classic near Park City, Utah. The funds raised by this event benefit Forever Young Foundation. In 1993, Steve established the Forever Young Foundation to support community projects and non-profit organizations effectively serving the therapeutic and academic needs of seriously ill and underprivileged children. 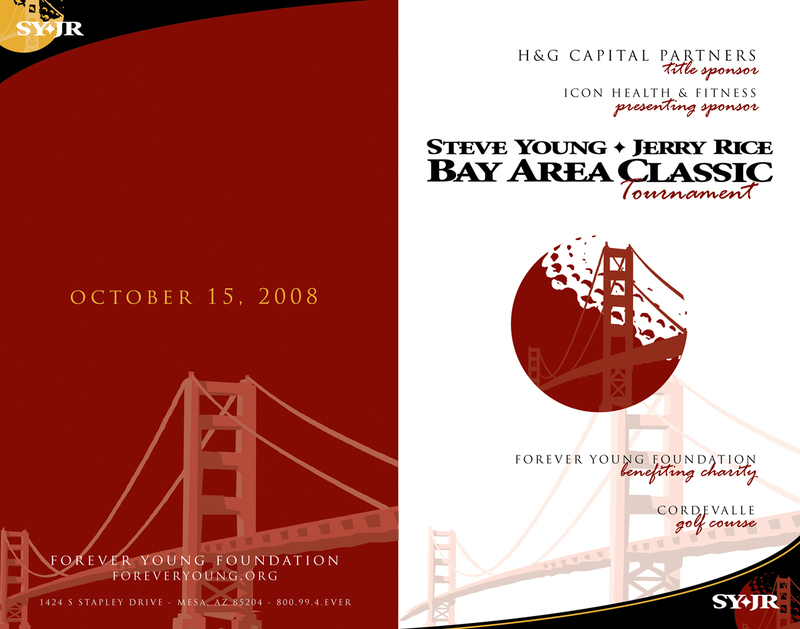 For several years I worked as a creative on this event as well as the Desert Classic, Bay Area Classic and events serving other Forever Young Foundation charities. 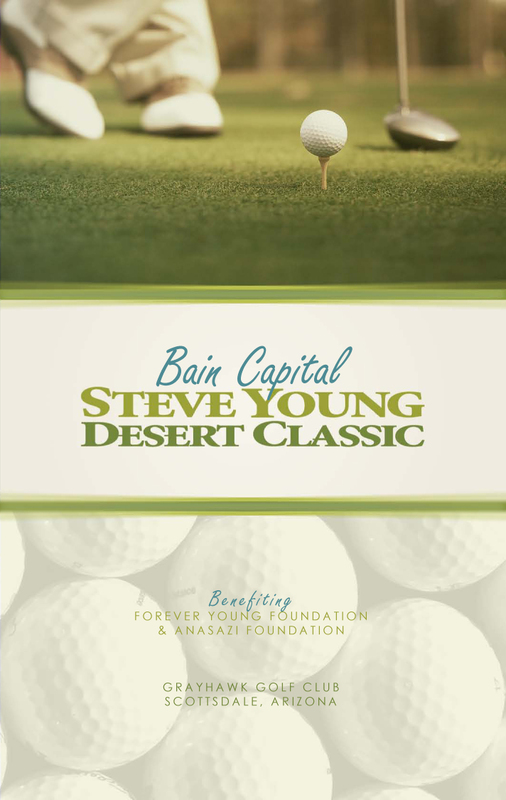 Each Spring, NFL Hall of Famer Steve Young joins with friends from the NFL, NBA, and Major League Baseball to host the Steve Young Desert Classic at Desert Mountain Golf Course in Scottsdale, Arizona. Funds raised by this event benefit Forever Young Foundation and Anasazi Foundation. I worked as a creative on these golf tournaments and other special events for several years. My responsibility was mainly as the graphic designer and media coordinator but also in planning, communicating with celebrities and sponsors, securing venue provisions, and decorating.